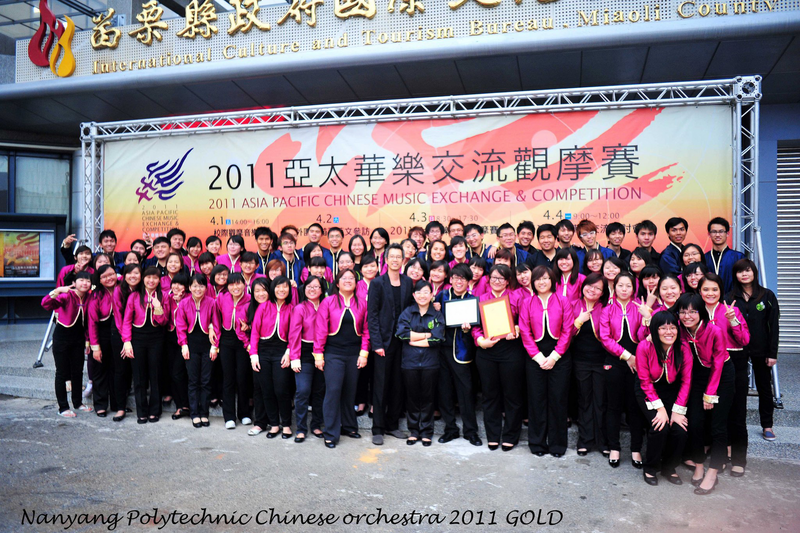 Founded in 1996 with a pioneering ensemble of 45 members, the Nanyang Polytechnic Chinese Orchestra (NYPCO) has grown to its present day 155-strong group of enthusiastic students and alumni musicians. Together, they create their own unique and modern spin of traditional Chinese music, constantly pushing the musical frontiers with their own interpretation of western classical and modern pop pieces using classical Chinese instruments. Under the baton of its resident conductor, Mr Mike Chiang, the NYPCO aspires to achieve even greater heights of excellence each year, having won many accolades since its first foray into music festivals and competitions five years ago. Known for his bold artistic vision and fresh dynamic interpretations of classical Chinese music, Mr Chiang collaborated and struck notes with the NYPCO members to introduce western music, Chinese pop, evergreen songs and even Japanese and Korean pop pieces into the repertoire. In October 2010, the Orchestra's performance clip of a specially-arranged K-pop Medley was put on YouTube and amassed more than 28,000 views worldwide within a short space of time, making it the fourth most favorite music clip on YouTube for that month! Numerous international websites, including Korean sites, as well as local media, such as The New Paper, featured the success of this viral hit. Thanks to the nurturing support endowed by the NYP management, the NYPCO has grown from strength to strength, giving the young performers new opportunities and inspiration to hone their musical talents and enrich their learning journey. In 2007, the Orchestra competed internationally for the first time. At the Australian International Music Festival, the Orchestra set a new record in the Festival's 18-year history for being the first performing group to secure perfect scores from the entire panel of international adjudicators. They were subsequently invited to perform at the Festival's Command Performance at the Sydney Opera House to a standing ovation. 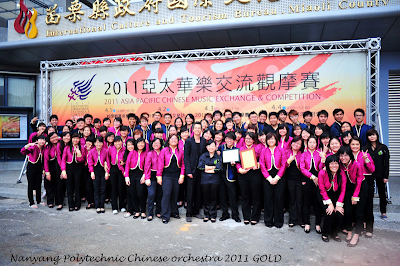 In 2011, the Orchestra clinched another gold medal at the 2011 Asia Pacific Chinese Music Exchange and Competition in Taiwan, despite facing tough competition from Chinese Orchestras from Malaysia, Hong Kong and Taiwan. The competition was adjudicated by a panel of nine eminent composers, Chinese classical musicians and renowned academics from around the region. NYPCO received the highest marks allocated in the competition. Students and alumni members of the NYPCO are also privileged to be able to walk the distance in dedicating their musical talents to worthy causes by performing in charity events for the less fortunate. 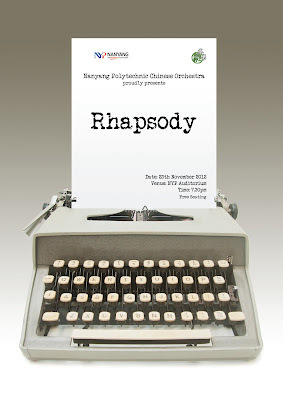 These include performances staged for the Chinese Development Assistance Council's Ready for School Project as well as fund-raising projects in aid of the Leukemia & Lymphoma Foundation and the PAP Community Foundation.